Durable I-Beam girder section aluminium body for strength and long life. 3 tubular vials: 1 top read, 1 plumb and a 180° rotating angle vial (code 89129 400mm comes with 2 vials). 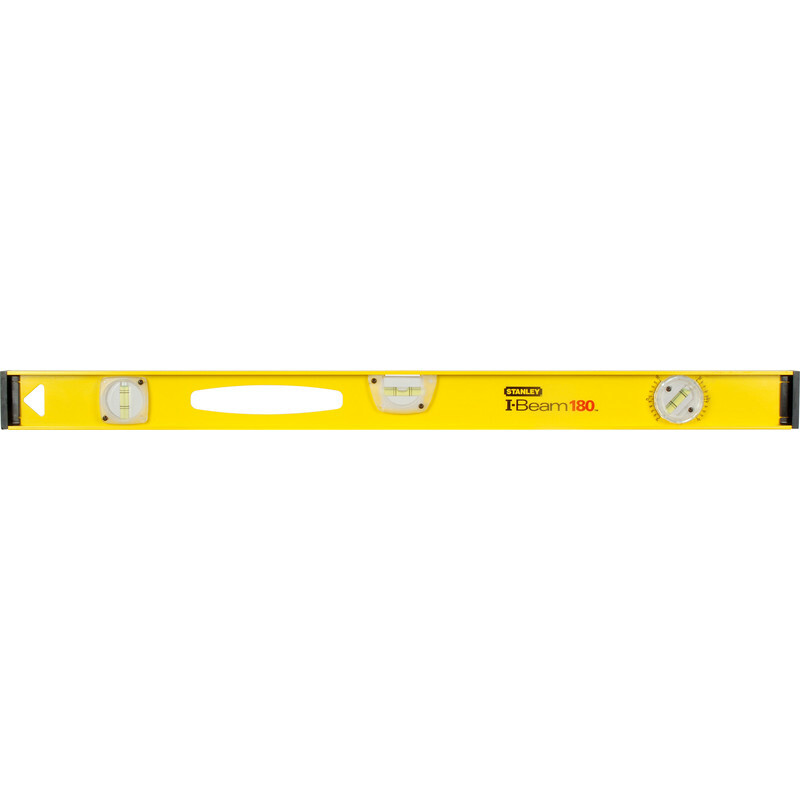 Stanley I-Beam Spirit Level 800mm is rated 3.0 out of 5 by 4. Rated 1 out of 5 by Dig the garden from Poor quality I bought this to lay patio slabs. It is poor quality and not precise. It quickly absorbed moisture and became foggy so I could not read it. Rated 5 out of 5 by Jayy from Spirit level Good product at a good price. Lighweight so easy to carry along with other tools.Works as good as a more expensive level.